Have you all been keeping up with your reading of policy documents issued by the Executive Office of the President of the United States? If not, you may have missed their National Plan for Civil Earth Observations (EO), issued a couple of weeks ago. Given the US Government is the largest provider of EO data in the world this is important for everyone working in the field, particularly as it estimates that EO activities are worth $30 billion to the US economy. 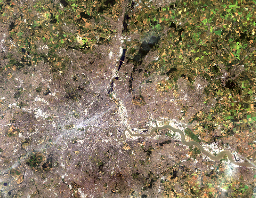 The National Plan builds on the US National Strategy for Civil Earth Observations issued in 2013; such national Earth observations strategies aren’t unusual, the UK has issued two in recent years with the UK Space Agency Earth Observation Strategy in October 2013 and the Department of Energy and Climate Change Earth Observation Strategy in June 2012. However, what makes the National Plan more interesting, and valuable, is that it ranks US priorities for civil EO together with the actions they intend to take to deliver them. The plan identifies five priorities, with the top two focussing on achieving continuity of long-term sustained EO. The number one priority is to maintain observations considered vital to public safety; national economic and security interests; and critical to scientific research; this includes the continuity of Landsat multispectral information, the GPS network and a variety of weather, land and ocean measurements. Second priority is observations focussing on changes in climate, greenhouse gases, biodiversity and ecosystems often in collaboration with international partners. The third priority surrounds short-term experimental observations of less than seven years duration, such as measurements for specific scientific research, first-of-their-kind observations, innovations and proof of concept work. The final two priorities are around improvements to service-life extensions; and the assessment, and prioritization, of EO systems. Increase the integration of EO data, and making data available to everyone irrespective of the original purpose. By eliminating the silo approach to data, it will offer greater potential for innovative research. Implement the Big Earth Data Initiative (BEDI) to provide uniform methodologies and practices for the handling of EO data to enable a wider group of users, without specialist knowledge, to find, obtain, evaluate, understand, compare and use new and legacy data. Increase efficiency and cost savings through streamlining processes, coordinated acquisition of data, cooperation and collaborative working with commercial and non- US owned satellites. Improve spatial resolution, temporal cycle, sample density and geographic coverage of observation networks with both new observation systems and technical upgrades. Maintain the physical, computing, communication and human infrastructure required to deliver EO. Encourage private companies to invest in the space sector. However, it makes clear that it intends to maintain the principles of open data sharing which will make it interesting to see how, and where, private firms will get returns on their investments. Continuing to work with other international bodies and space agencies to provide access to greater EO data and supporting collaborative research. Using citizen science, crowdsourcing and private sector initiatives to leverage EO data innovations. The National Plan is a detailed document and it will be interesting to see the UK Space Agency, or perhaps the European Space Agency, version. Any EO business working in, or with firms in, the US needs to begin planning for these developments. Would does your business need to do to reposition your core competences, skill base or infrastructure to be able to exploit these opportunities? Even if you don’t currently work in the US take note, the journey outlined will impact the EO community. This entry was posted in Citizen Science, Data, Earth Observation, ESA, Landsat, NASA, Oceans, Policy, Remote Sensing, Space Industry, Supporting Activities and tagged EO, ESA, Landsat, NASA, National Plan for Civil Earth Observations, Roadmap, UK Space Agency, US Government by Andy. Bookmark the permalink.